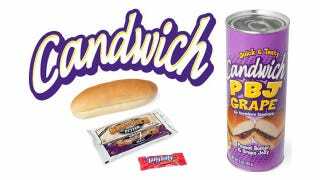 The world was denied a breakthrough in food-in-a-can technology and deliciousness when a petty thing like money kept Candwich, the sandwich in a can, off of store shelves. But now it's here. P.S. Is it sad we have a tag for "food in a can," populated by multiple posts?